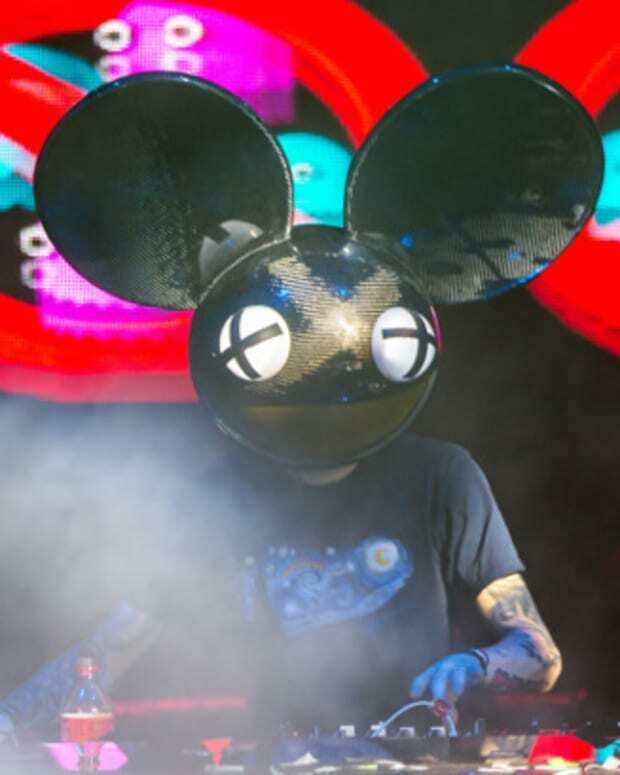 Hot of the heels of a cease and desist letter from Ferrari over the his old ride, the Purrari, it looks look deadmau5 has traded in that bucket of bolts for a new whip. He copped himself a McLaren 650S... and named it the Meowclaren. 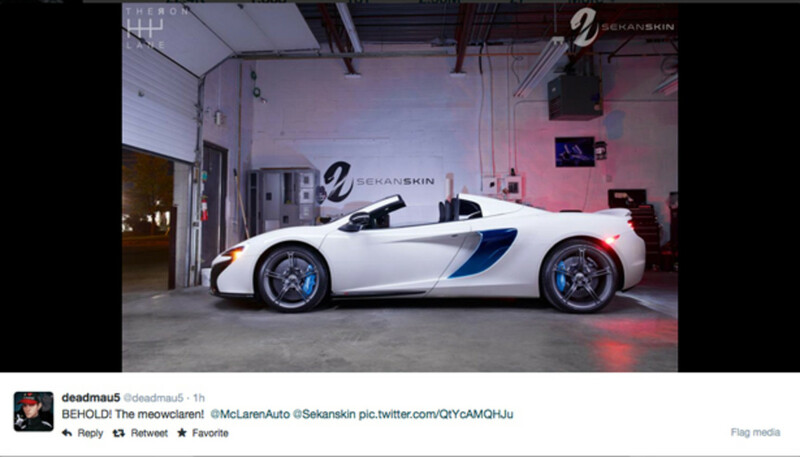 No word on if he is going to wrap in Nyan Cat artwork like the Purrari, but the photo above does show it at Sekanskin- a Toronto based automotive wrap company... We hope he doesn&apos;t, but at the same time kinda hope he does. FTW and zero fucks, right Joel? 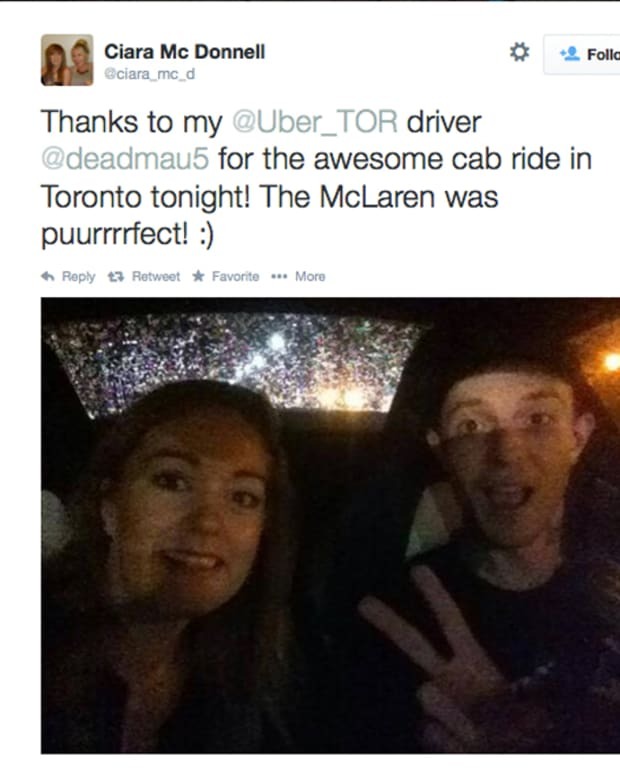 And in interesting development, it looks like deadmau5 might have signed up to be an Uber Driver. Imagine requesting an Uber, and having the Meowclaren pick you up for a coffee run. One thing though... got any money?